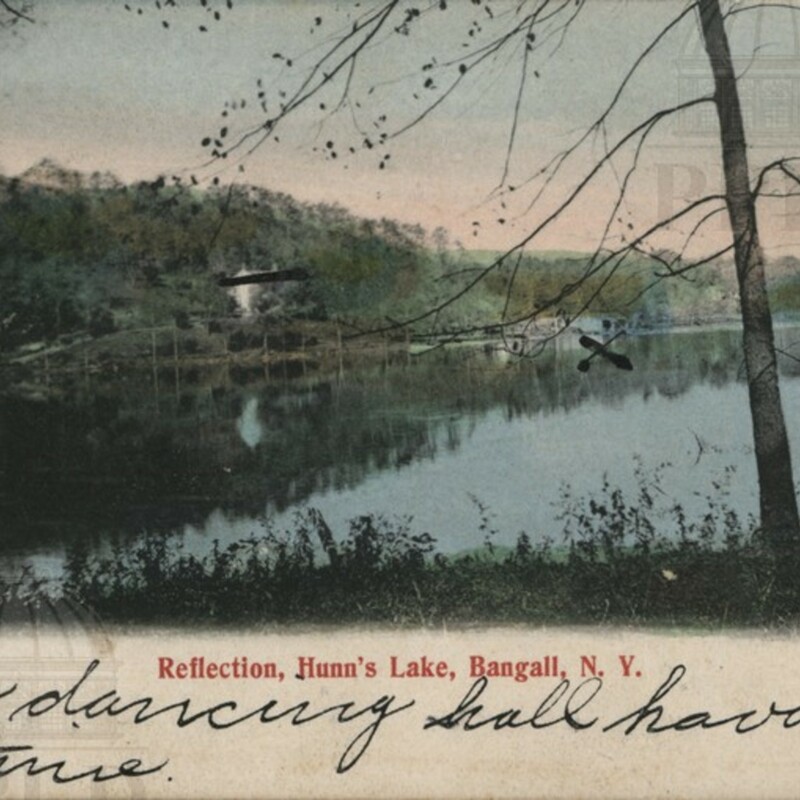 A collection of early postcards of the Dutchess county area. 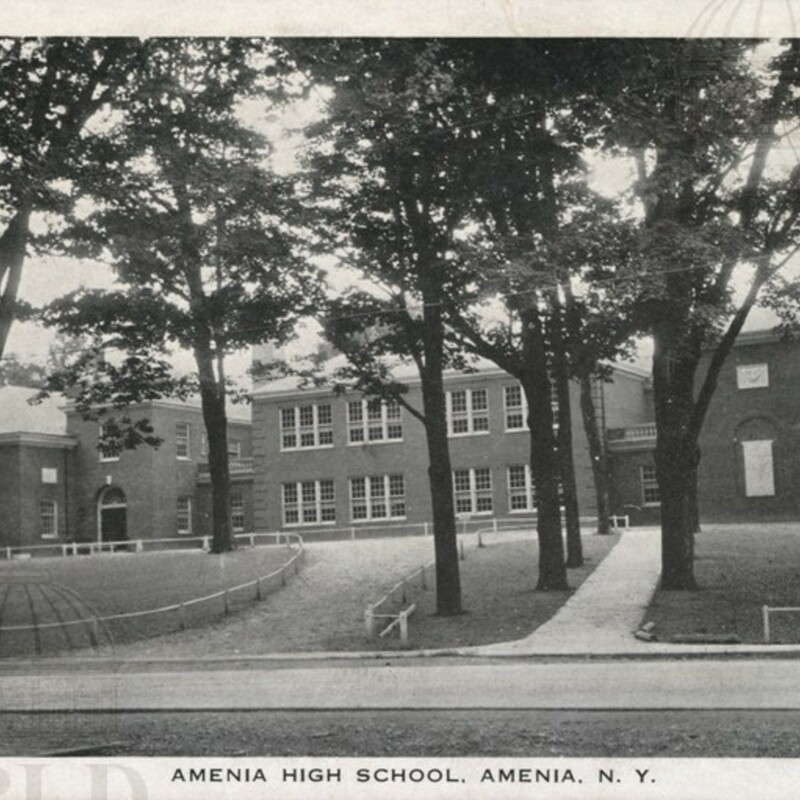 Black & white photograph, view of the front of the school. 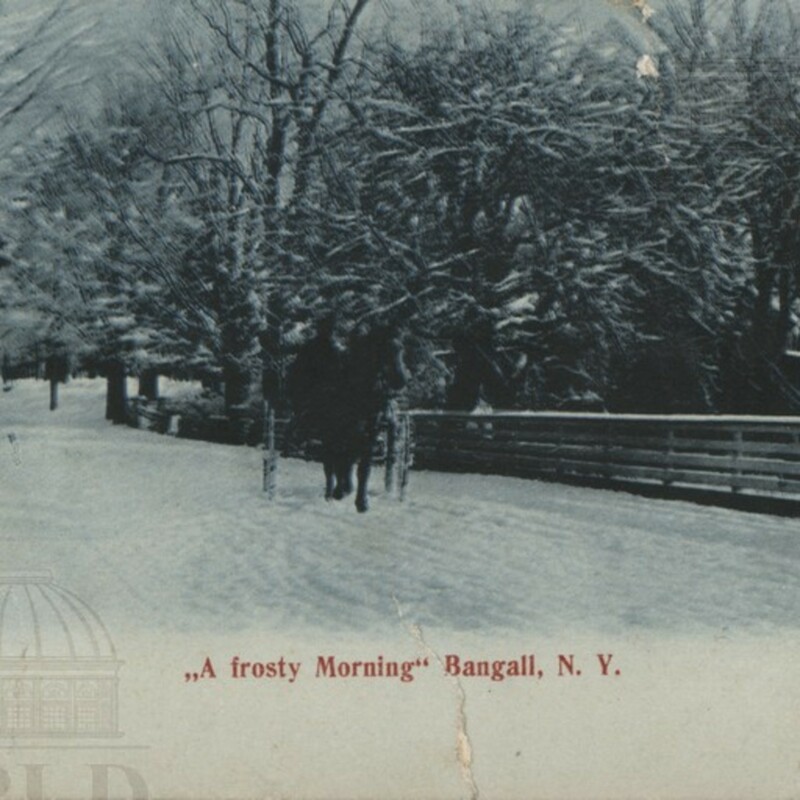 Black & white, view of a snow-covered road & a horse-drawn carriage in Bangall, N.Y.
Hand-colored, view of Hunn's Lake in Bangall, N.Y. Writing along the bottom reads, "This is a dancing hall having a fine time." 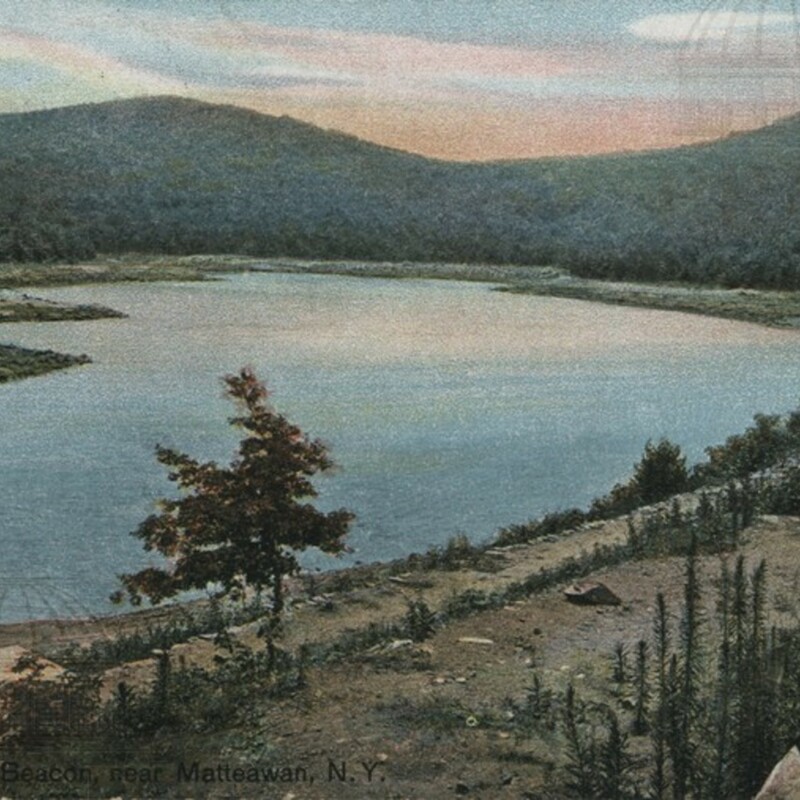 Color illustration, view of the reservoir on Mt. Beacon. 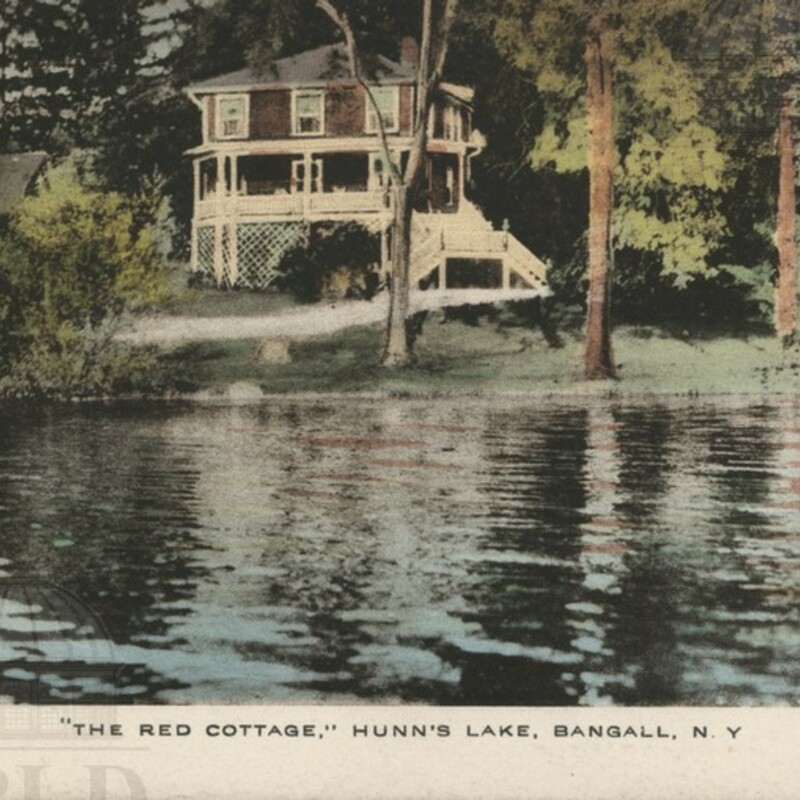 Hand-colored, view of the Red Cottage on Hunn's Lake in Bangall, N.Y.
Color illustration, from Summit Station Mt. 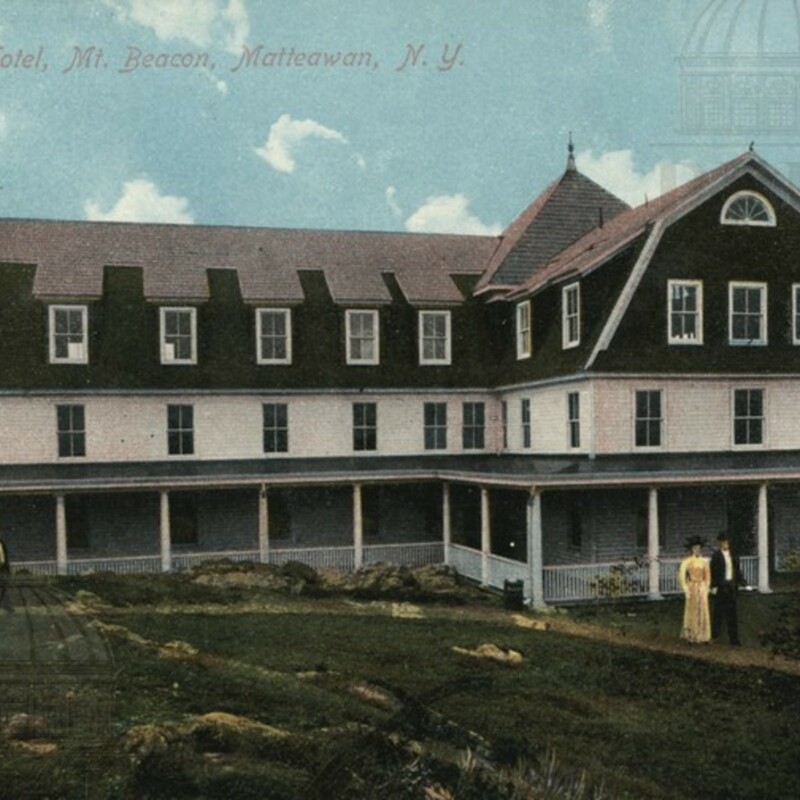 Beacon, near Matteawan, N.Y. Mt. 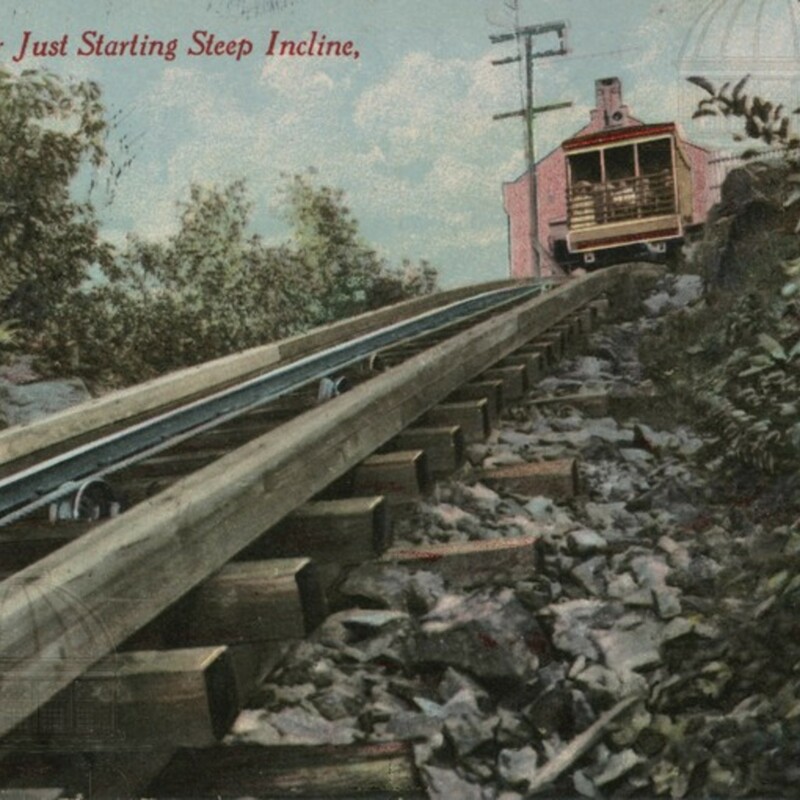 Beacon Incline Railway is 2200 feet long, 1540 feet straight elevation. Average grade 62 degrees. 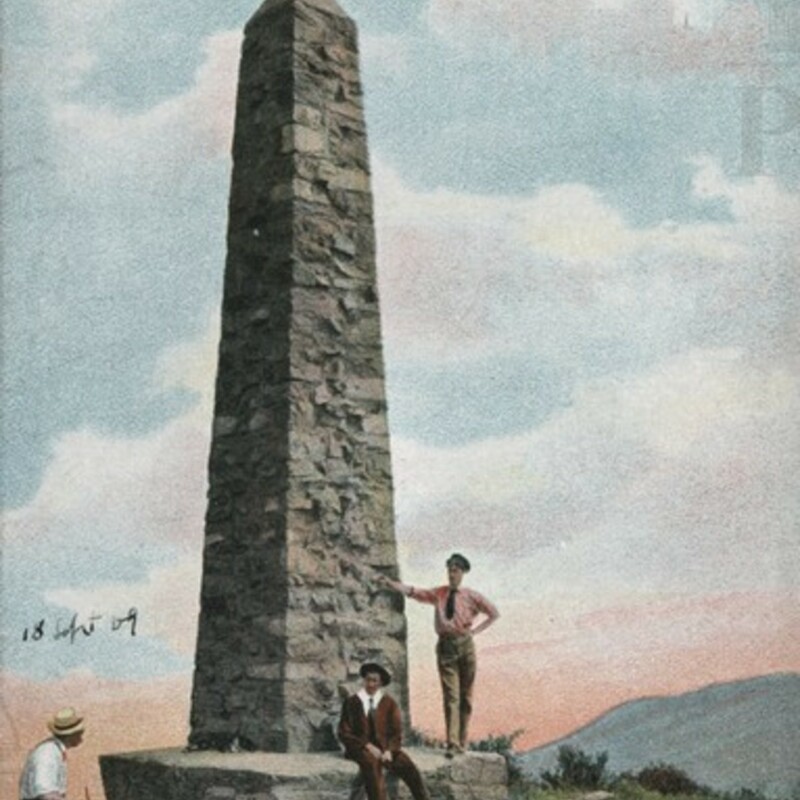 Color illustration, the obelisk at the summit of Mt. 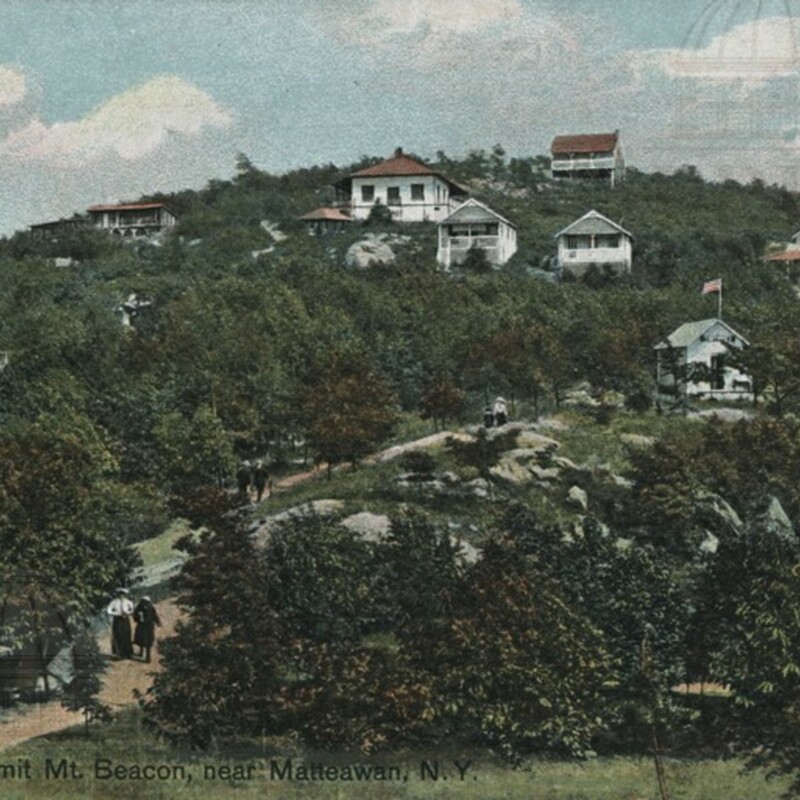 Beacon, near Matteawan, N.Y., with reposers at its base. 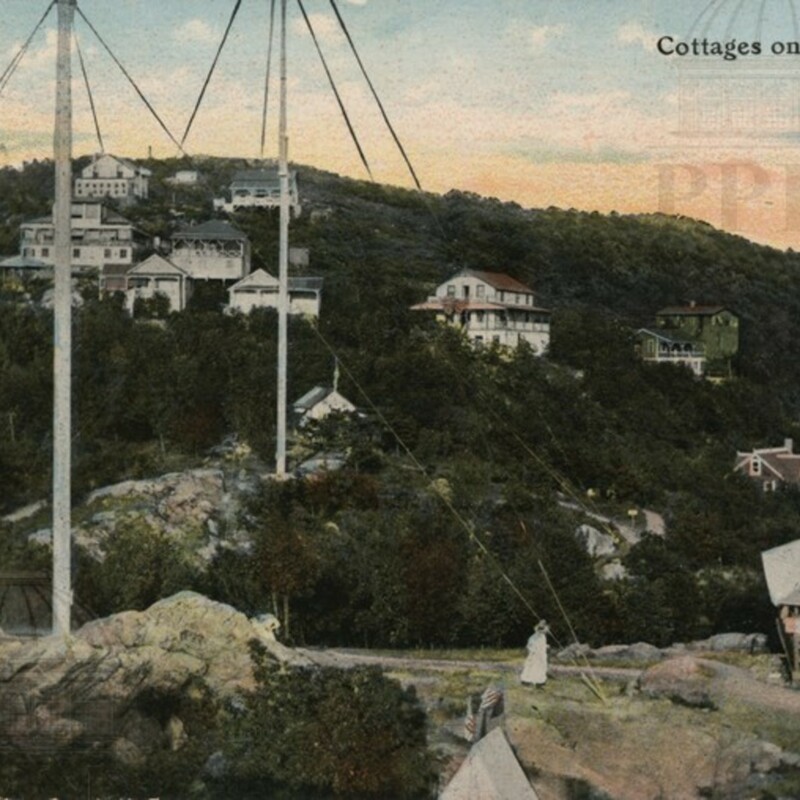 Hand-colored, view of the cottages on the summit of Mt. 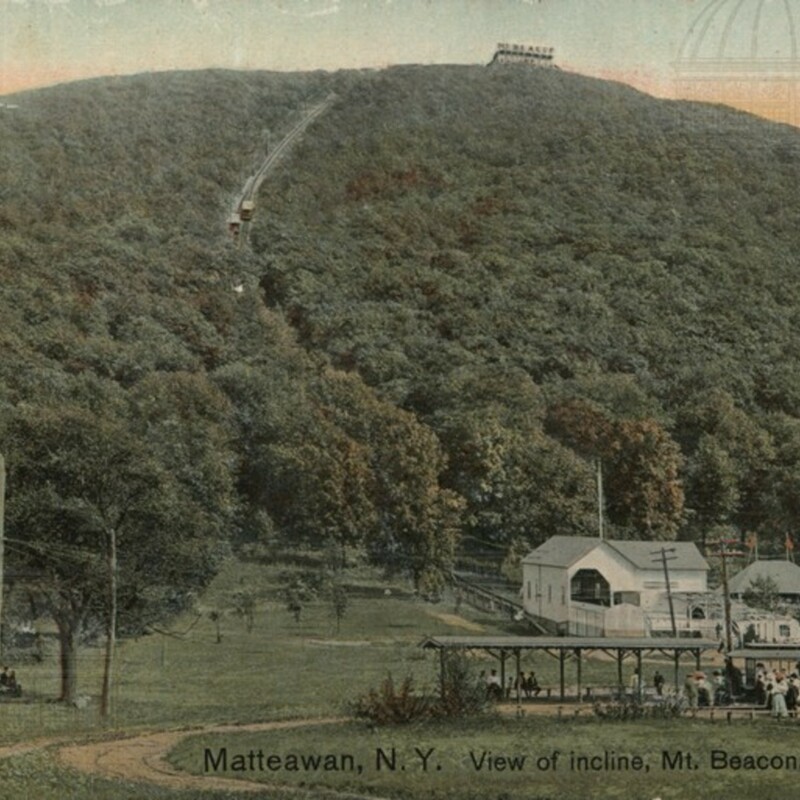 Beacon, near Matteawan, N.Y.
Hand-colored, view of the Incline Railway from the base of Mt. 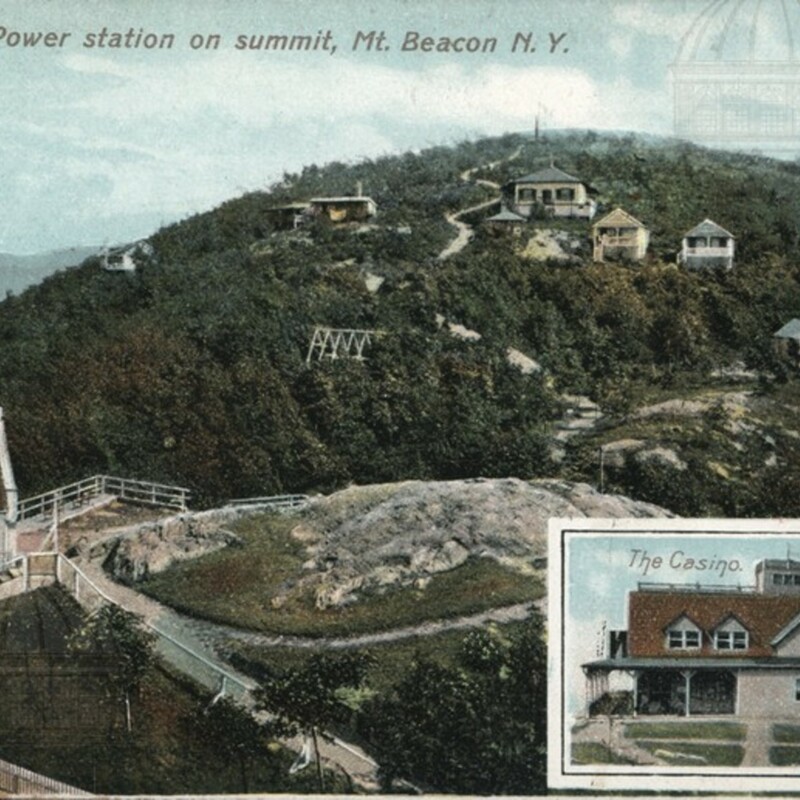 Beacon, in Matteawan, N.Y.
Hand-colored, view of the cottages & power station at the summit, with an insert of the casino. 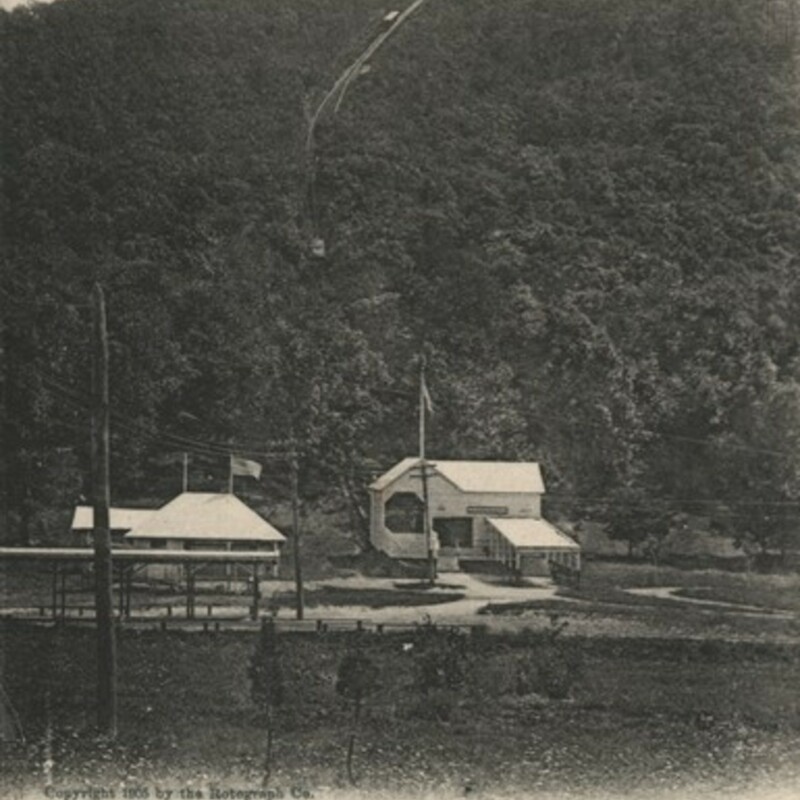 Black & white photograph, view of the cottages & monument on the summit of Mt. Beacon. 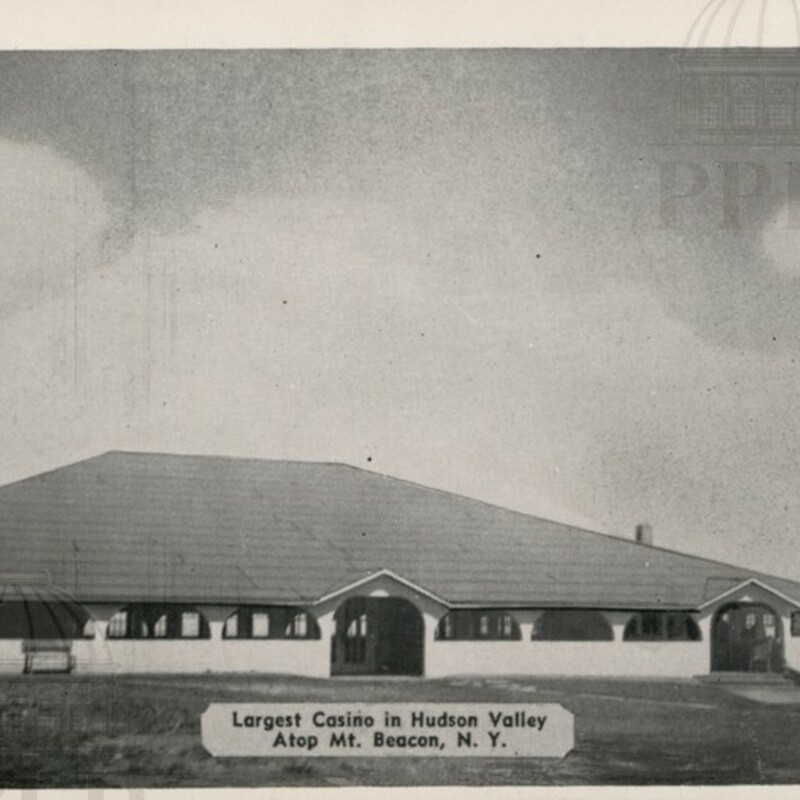 Black & white photograph, view of the hotel & casino at the summit of Mt. Beacon. Color illustration, view of the front of the hotel with strolling guests. 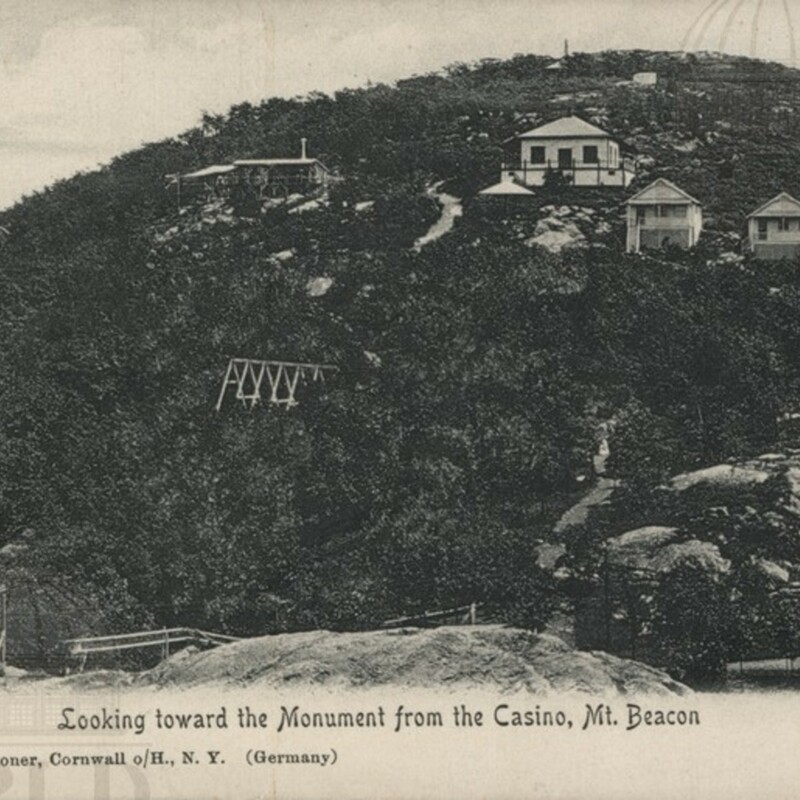 Black & white illustration, view of the casino atop Mt. 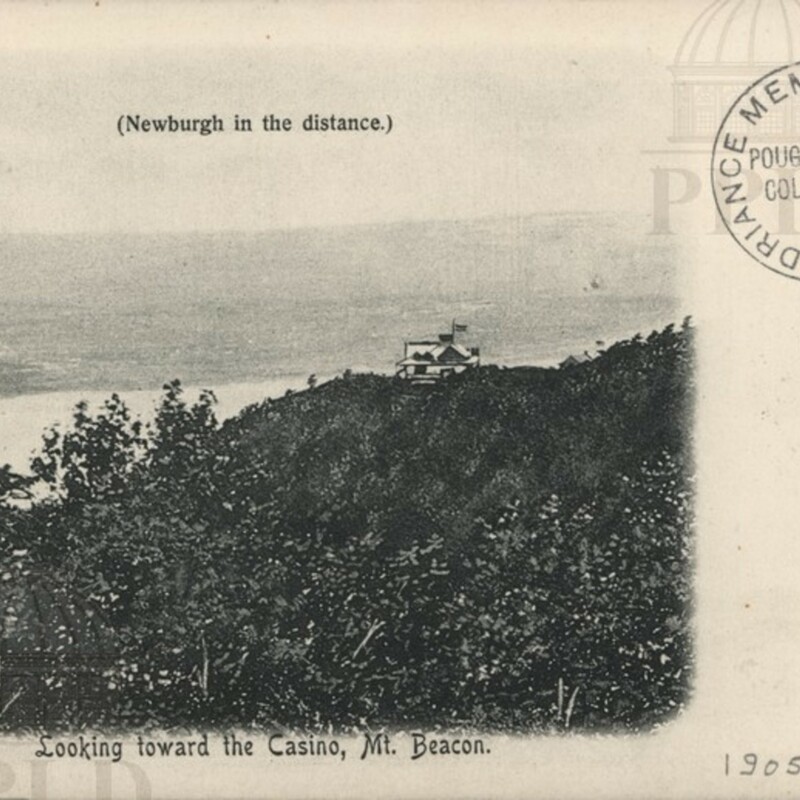 Beacon, with Newburgh in the distance. Largest Casino in Hudson Valley, Atop Mt. 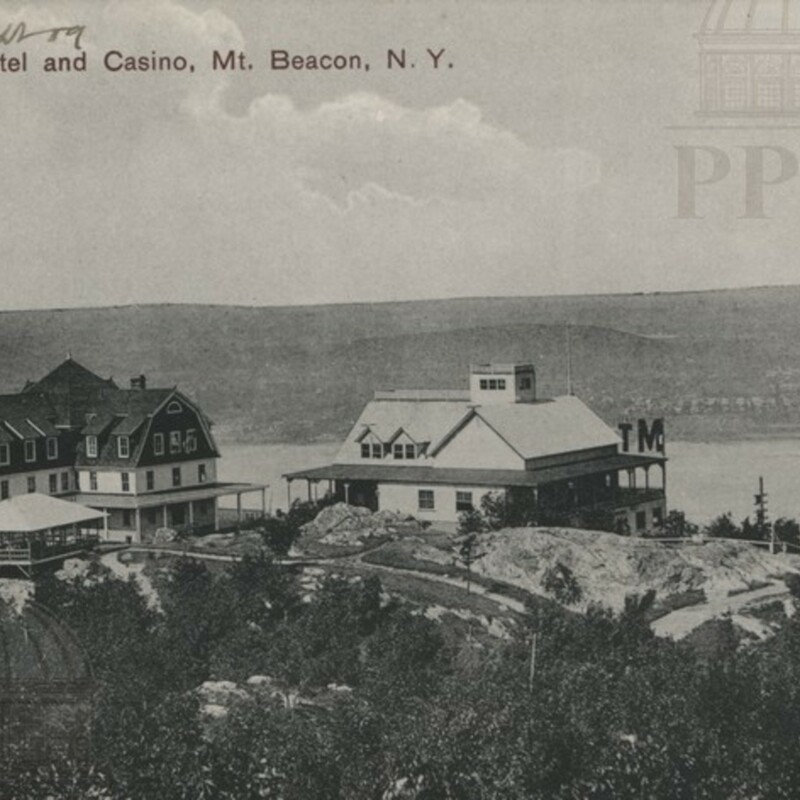 Beacon, N.Y.
Black & white photograph, view of the casino on Mt. Beacon. From the reverse: "Mt. 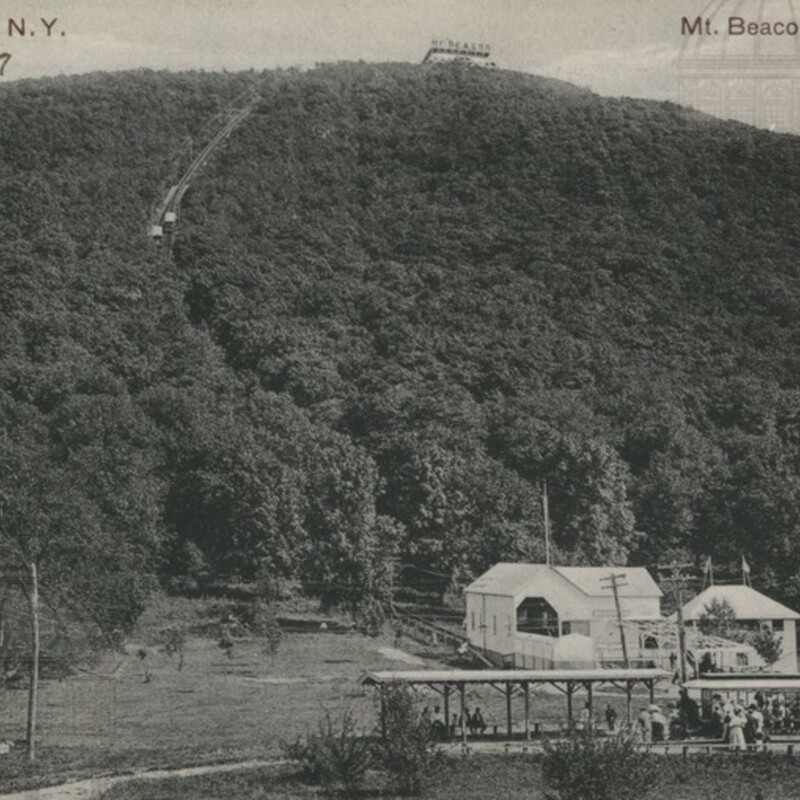 Beacon -- World's Steepest Incline Railroad, 1,540 feet high, 2,384 feet long, average grade 64%. 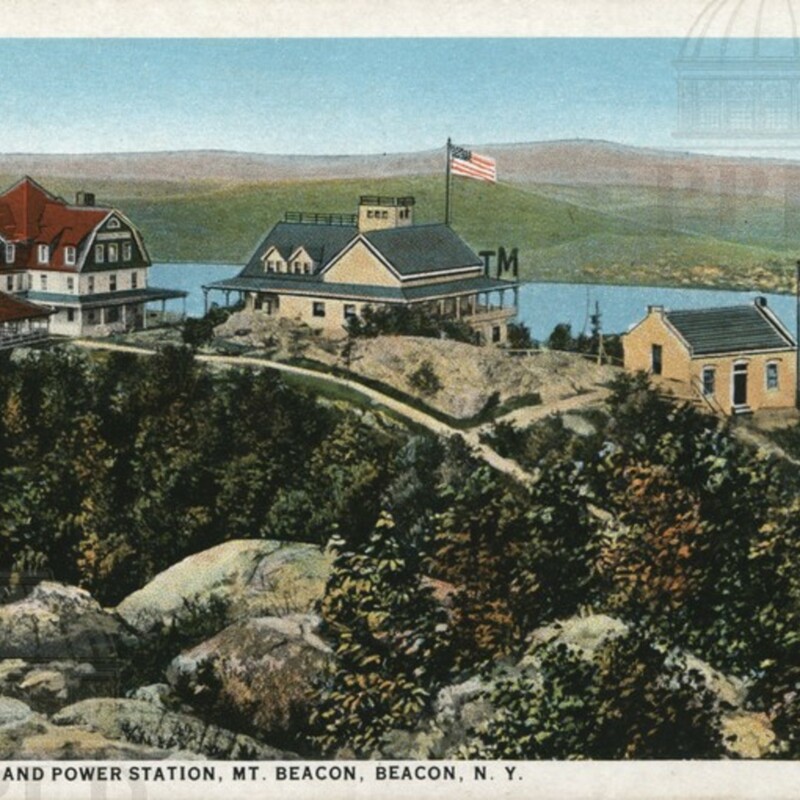 'The Hudson River's Most Famous Resort.'" 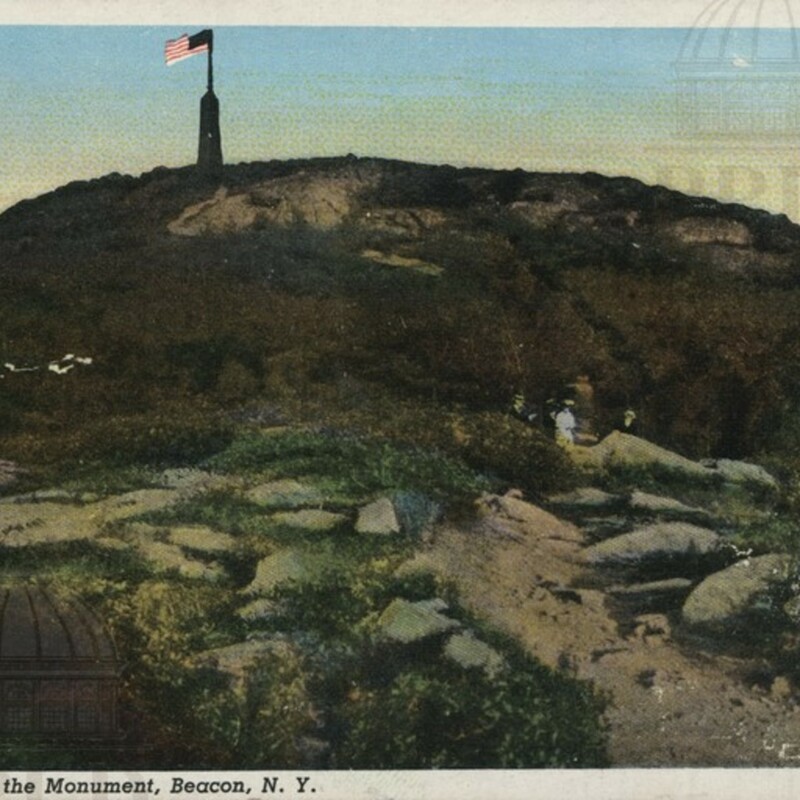 On the Way to the Monument, Beacon N.Y.
Color illustration, view of the obelisk atop Mt. Beacon. Color illustration, view of two railway cars passing on the side of the mountain. 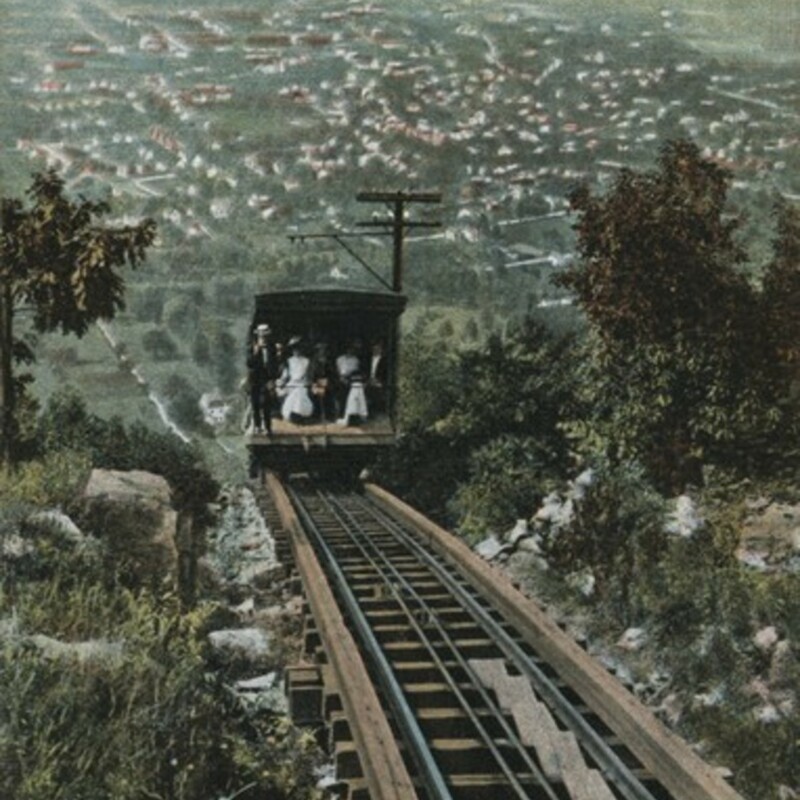 Color illustration, view of a railcar beginning the descent down the Mt. 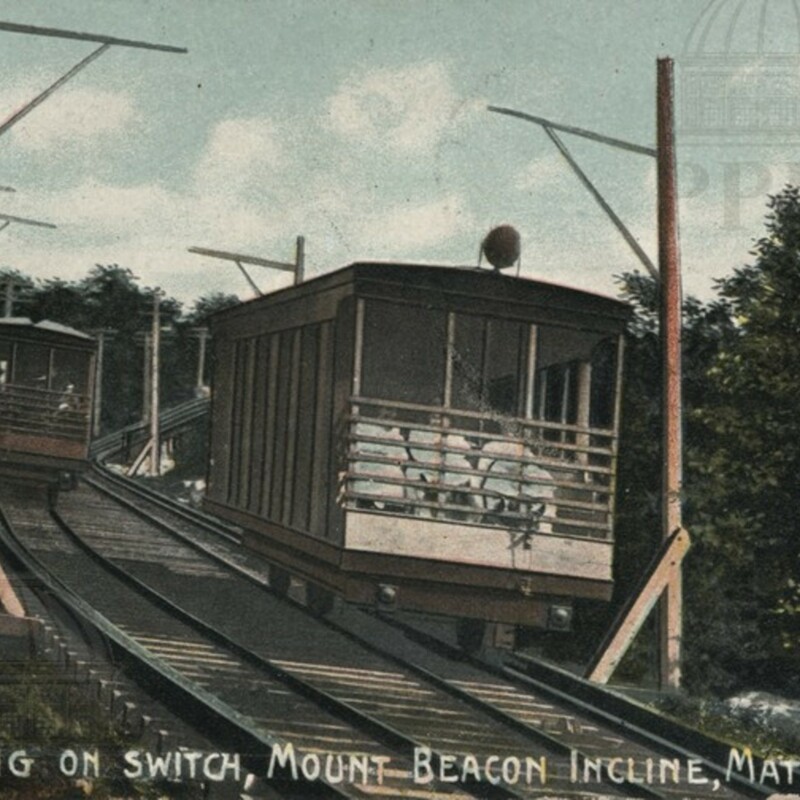 Beacon Incline Railway. 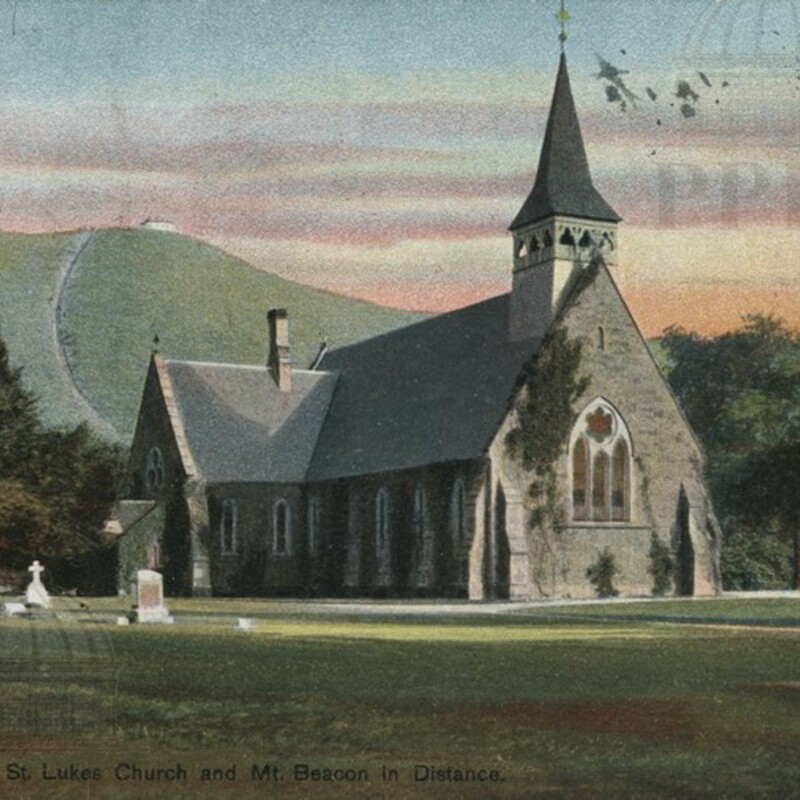 Color illustration, view of St. Mark's Church in Matteawan (Beacon), Mt. Beacon visible in the background. 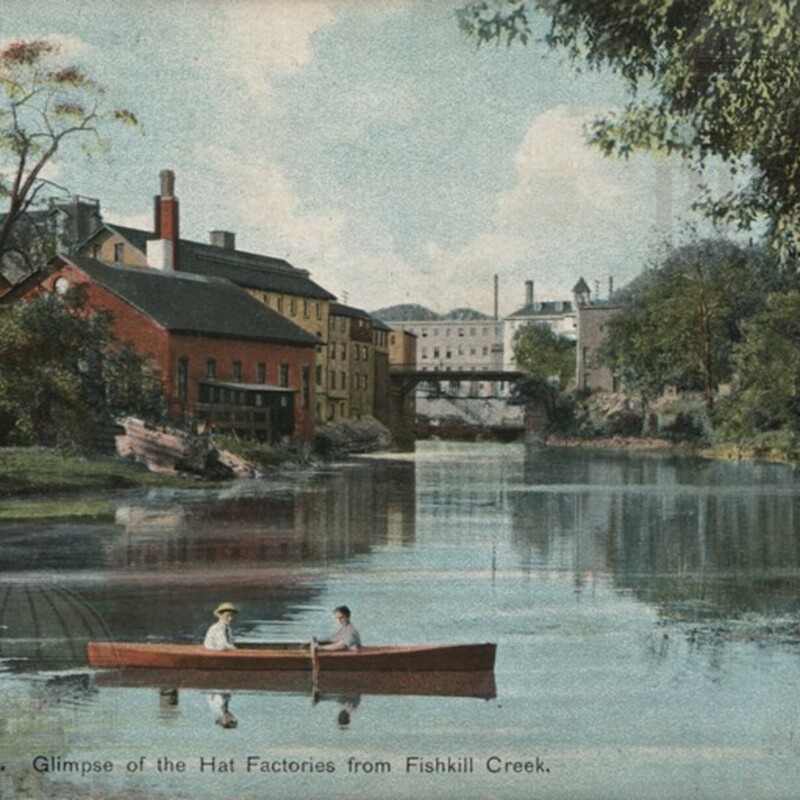 Color illustration, view of the hat factories on Fishkill Creek, with boaters in the foreground. 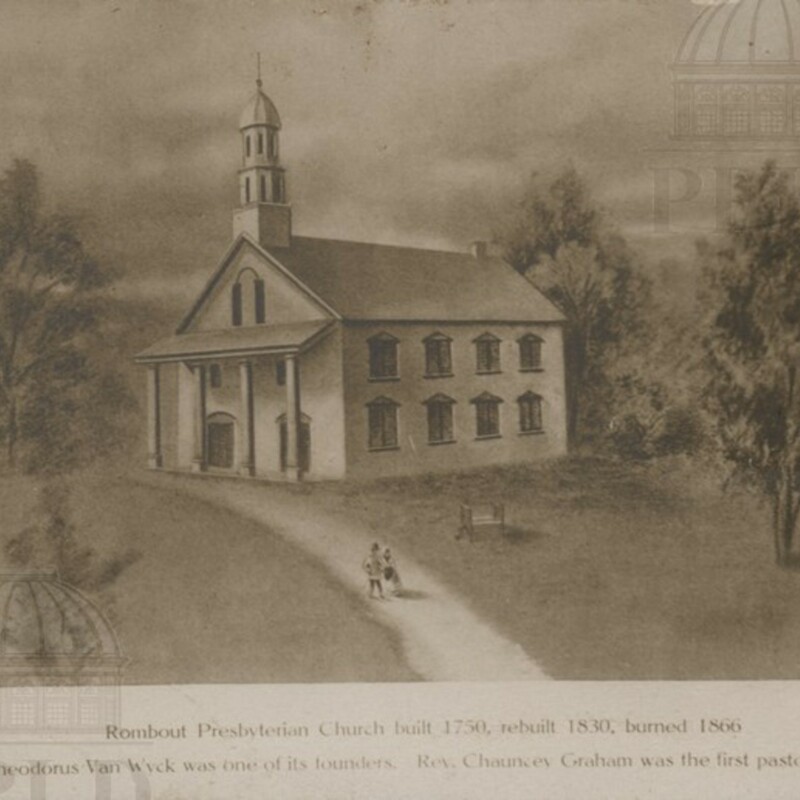 Sepia illustration, text reads, " Rombout Presbyterian Church, built 1750, rebuilt 1830, burned 1866. Judge Theodorus Van Wyck was one of its founders. Rev. Chauncey Graham was the first pastor for 23 years." 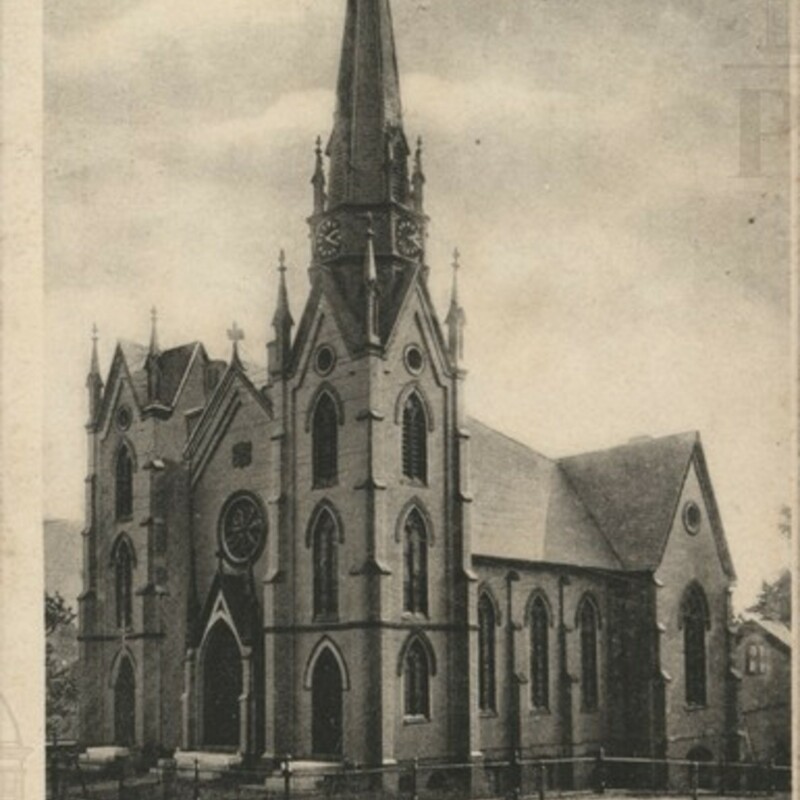 Black & white illustration, view of the Matteawan Methodist Church. Writing on the front reads, "Do you know there this is? Florence." 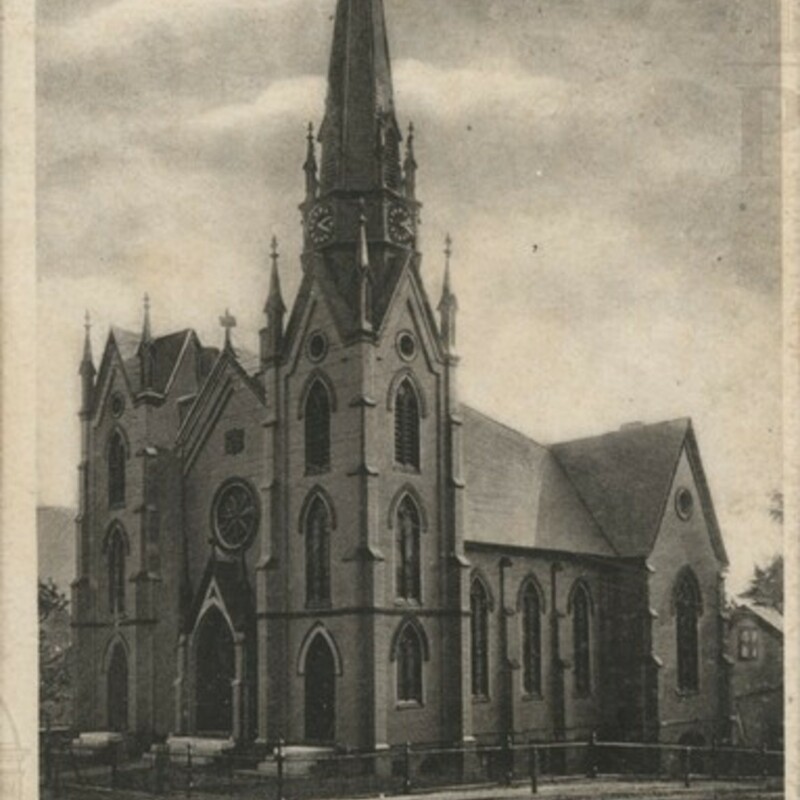 Black & white illustration, view of the Matteawan Methodist Church. Writing on the front reads, "Dear Donna:- I hope you will pardon me for not writing before. Your friend [indecipherable]." Tioronda R.R. Bridge, Mt. Beacon in Distance. 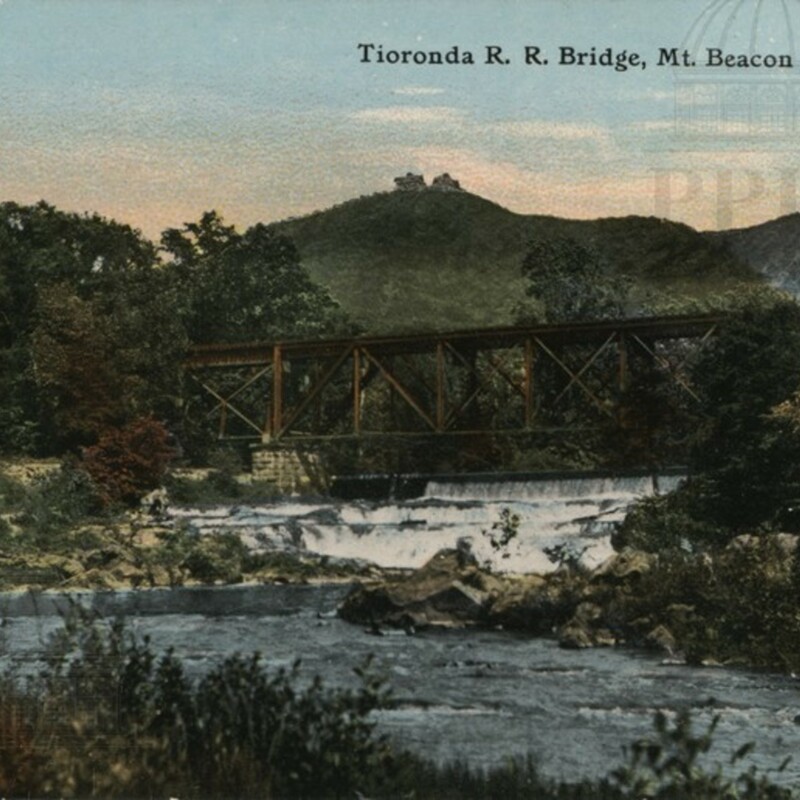 Color-tinted, view of the Tioronda Railroad Bridge over Fishkill Creek, Mt. Beacon visible in the background. Hudson River & Newburgh in distance from Mt. 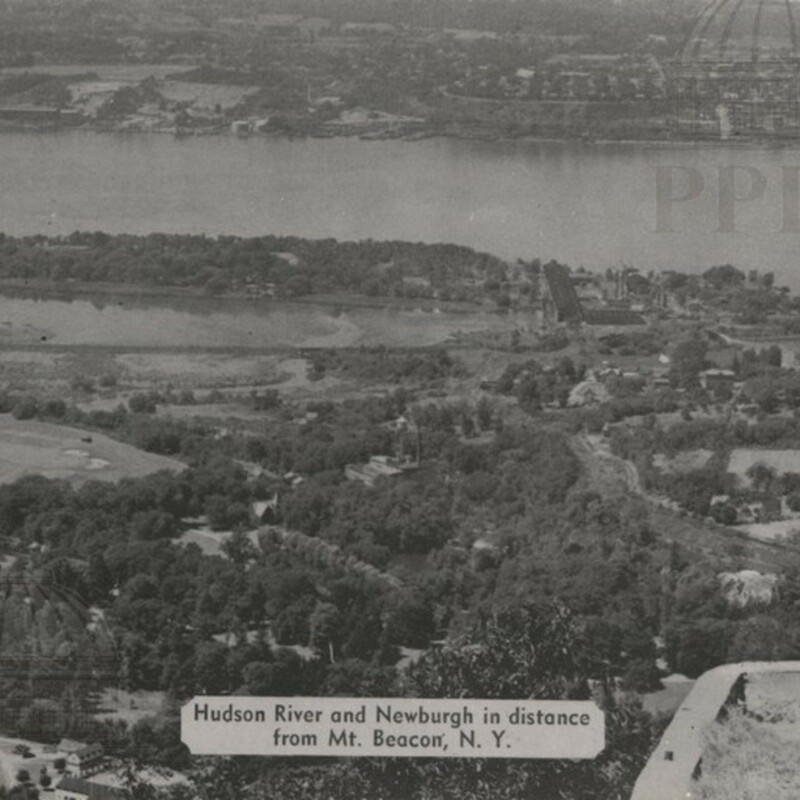 Beacon, N.Y.
Black & white photograph, view of the Hudson River & Newburgh waterfront from the summit of Mt. Beacon. 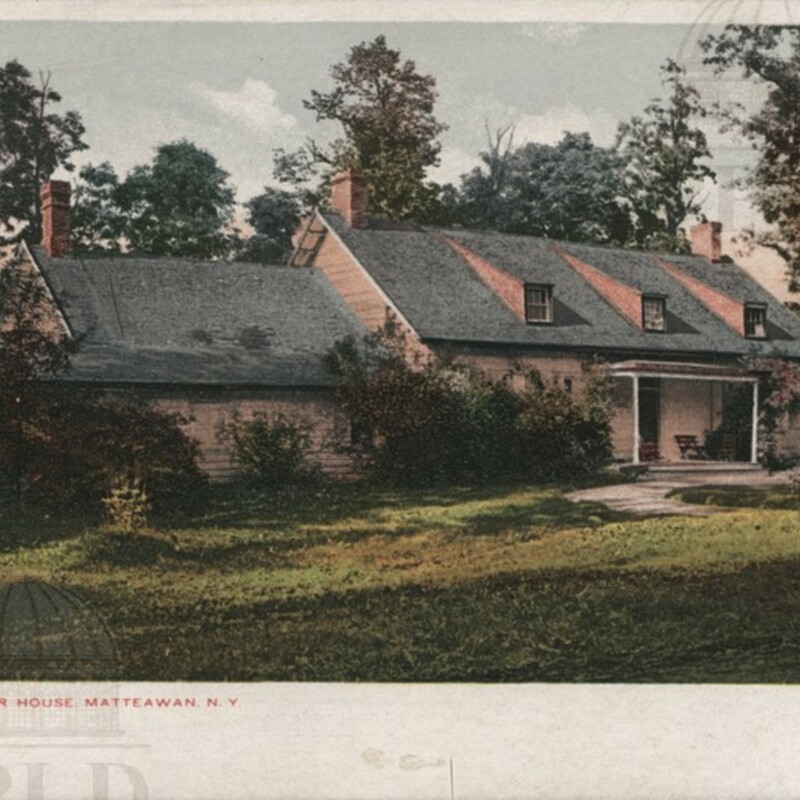 Hand-colored, the Teller House, now known as the Madam Brett Homestead, in Matteawan (Beacon), N.Y.